The Highlands Passage is in the Highlands of Act I. 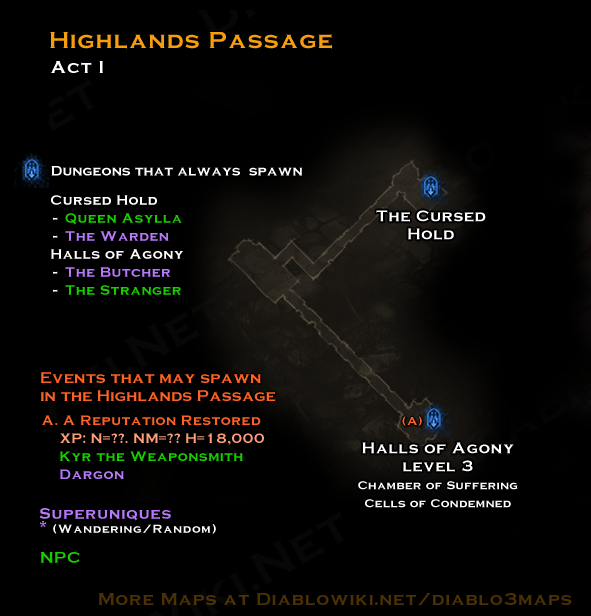 It connects level two of the Halls of Agony below Leoric's Manor to The Cursed Hold which in turn leads to level three of the Halls of Agony. This page was last edited on 24 January 2013, at 03:07.